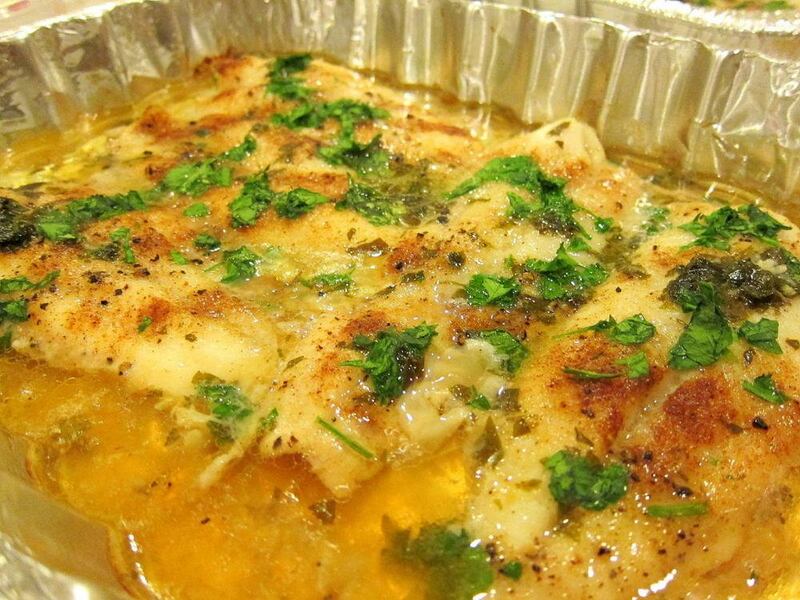 Baked Swai Fillets with White Wine Lemon Garlic Sauce is a great main course to serve at a dinner party or for a quick weeknight dinner. The 5 minute sauce can be prepared ahead of time - just pour it over the swai fillets and bake when you're ready to eat. Preheat oven to 375F. Grease a large baking dish. In a small saucepan, combine the white wine, butter, lemon juice, salt, and minced garlic. Cook while stirring until all the butter melts. Arrange the swai fillets in the baking dish. Season with a tiny bit of salt, pepper to taste, and paprika. Pour the white wine sauce over the swai fillets. Sprinkle with half the fresh parsley. Bake at 375F for 10-15 minutes, or until the swai is fully cooked and flakes easily. Garnish with remaining fresh parsley.